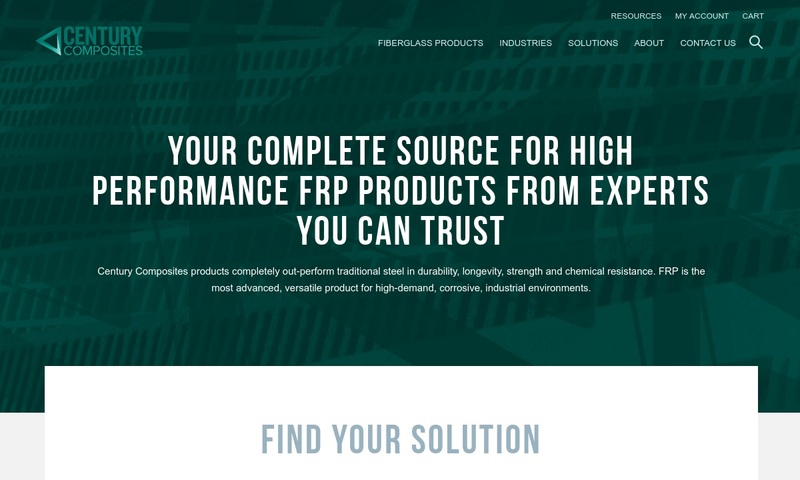 A reliable source for Fiberglass Fabricators information and a resource for accessing leading Fiberglass Fabricators and suppliers. During the fiberglass fabrication process, thin glass fibers are combined using various types of resins to create a product that is lightweight yet durable. Because it features these fiber and resin combinations, fiberglass is known as a composite. Fiberglass is a popular fiber resin material to use for reinforcing plastics, and insulating appliances and buildings. Fiberglass composite is used in applications where strong, lightweight, and scratch-resistant materials are needed. The composite is also popular because fiberglass does not shrink or expand with changes in temperature. Furthermore, it does not absorb water, is resistant to chemicals, has high strength-to-weight ratio, is non-flammable, non-magnetic, and can function as an insulator from electricity. Fiberglass Fabrication During the fiberglass fabrication process, thin glass fibers are combined using various types of resins to create a product that is lightweight yet durable. Because it features these fiber and resin combinations, fiberglass is known as a composite. 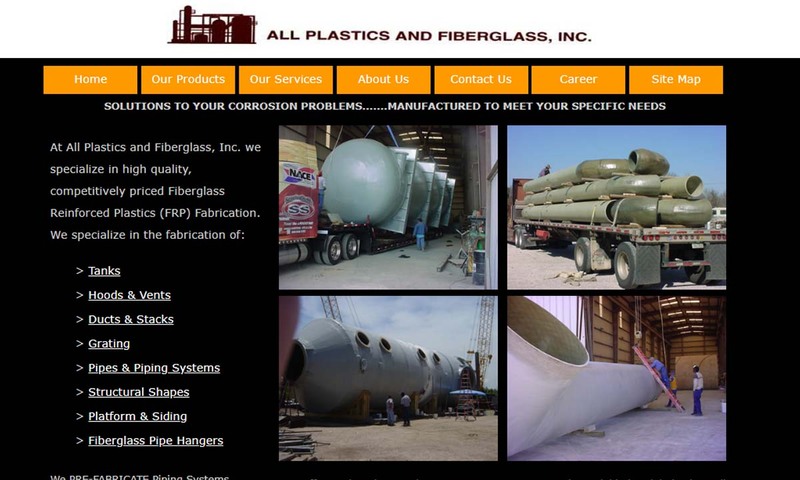 All Plastics and Fiberglass, Inc.
With over 100 years combined experience, All Plastics and Fiberglass has the experience to handle all your fiberglass needs. No matter how large or small the job is, AP & F is committed to a process that ensures the highest quality fiberglass fabrications. 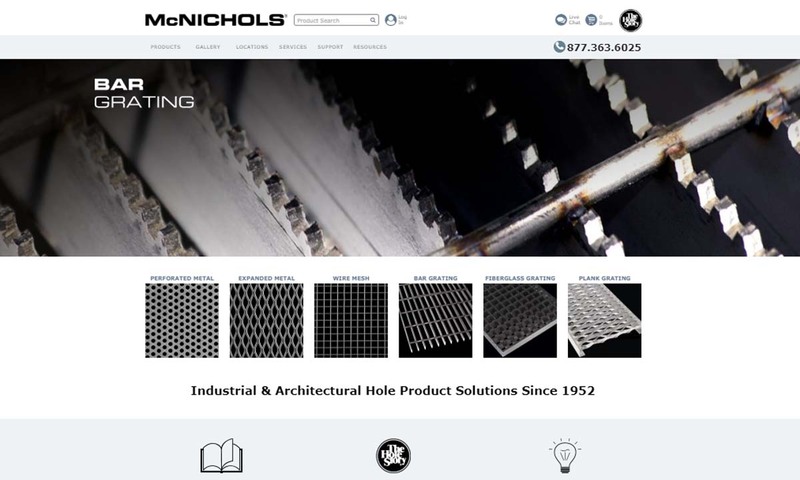 McNichols Company is committed to customer satisfaction which includes service, quality and performance. Fiberglass products include Molded Fiberglass Stair Tread Covers, and Fiberglass Handrail Components. 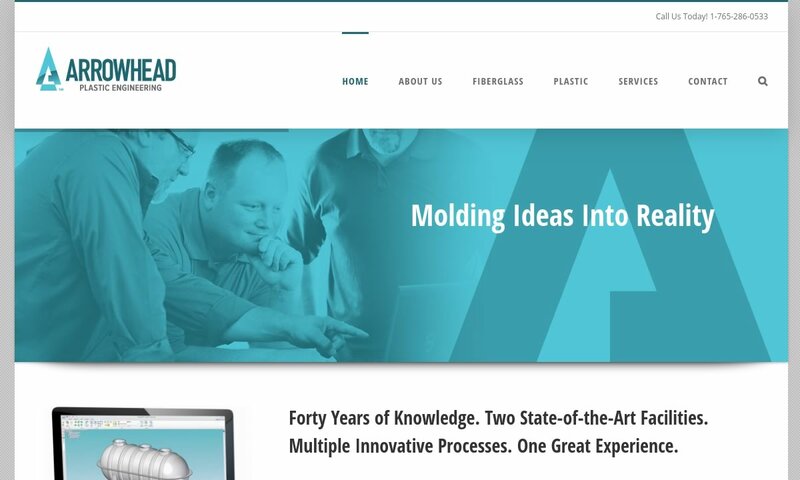 Arrowhead has been in the composite molding business for 40+ years. We supply parts to many different customers in a variety of different industries. Such industries include but are not limited to: agriculture, truck and bus, marine, transportation, and more. At Grace Composites, we are dedicated to providing our clients with outstanding craftsmanship on all of their fiberglass fabrications. We offer standard products in addition to completely custom fabricating services to meet your needs. GEF Incorporated is a fiberglass fabricator specializing in fiberglass fixed and caged industrial ladders, fiberglass cover systems, fiberglass grating and structural fabrication. GEF provides maintenance-free, corrosion-resistant, cost-effective fiberglass fabrication. Century Composites is a major manufacturer and stocking supplier of fiberglass components and fiberglass gratings including stair treads, tread covers, deck top gratings, mesh, hold-down clips and grit plates. Fiberglass molding is used to mold a multitude of products, such as machinery support products, electric circuit boards, shells of racing cars, and panels. Fiberglass fabricators also mold various more general fiberglass products, such as corrugated fiberglass, fiberglass pipes, fibercast pipes, fiberglass rods, structural fiberglass, plastic reinforced fiberglass (PRF) and fiberglass tanks. 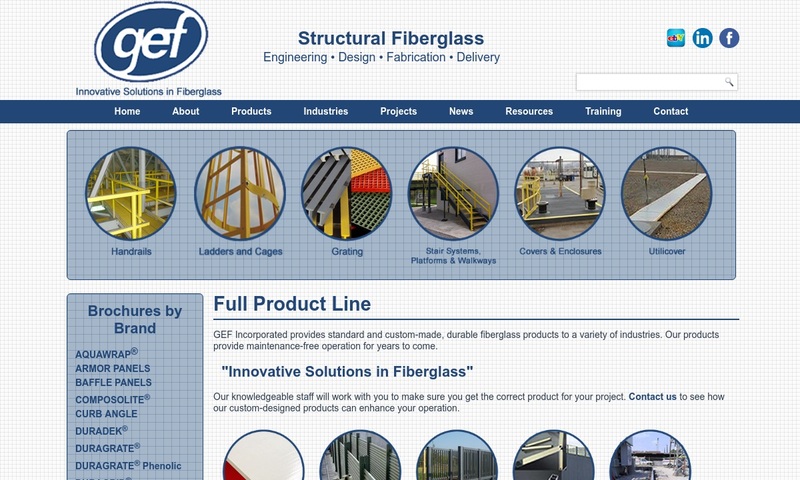 Fiberglass Fabrication – All Plastics and Fiberglass, Inc. Corrugated fiberglass is the most widely used fiberglass product today. This composite is typically composed of two layers of fiberglass material glued together. The inner layers consist solely of fiberglass material, while the surface of the outer layer is made of reinforcement resin, making the material tough and weather-resistant. It is frequently used in building construction, particularly for use with sheds and greenhouses. Fiberglass pipes are highly corrosion resistant. Molded from FRP composite, fiberglass piping is used with a wide variety of systems, including: septic tanks, potable water tanks, oil separators, water separators, non-potable fire protection water tanks, chemical storage tanks, manholes, fume scrubbers and hood stacks. Fibercast pipe is a type of fiberglass pipe, used in chemical handling and chemical processing. Fiberglass rods are long, thin and rounded fiberglass shapes. Usually, they are solid, not hollow, and may feature threads that help them connect to screws and other fasteners. Fiberglass boxes are lightweight and strong storage containers used for transportation and storage of shipping, automotive, marine and industrial materials. They can even hold and transport sensitive materials like batteries, speakers and paint. They may also act as lockers or mounting surfaces for vehicle audio equipment like subwoofers. Fiberglass tanks are mainly used to store waste materials and chemicals. Structural fiberglass is any fiberglass part, product or profile/shape that is used in structural applications, like construction. Examples include: fiberglass grating, fiberglass beams and fiberglass channels. Fiberglass reinforced plastic (FRP) is a type of fiberglass composite material, molded from thermoplastic resin thermoformed with extruded glass fibers or threading. Sometimes, manufacturers refer to FRP fiberglass as glass-fiber reinforced plastic, or GRP. When people first began to use the term “fiberglass,” they used it in reference to mass-produced glass wool. The process used to make this composite material was invented in 1932 by American engineer Games Slayter while he was working as a researcher at Owens-Illinois. This process involved trapping gas in glass fibers. The fibers acted as the reinforcement needed to make this composite useful. In 1935, Owens merged with Corning to form Owens Corning. When this happened, they adapted and patented Slayter’s invention in order to produce what they called “Fiberglas.” Originally, they marketed fiberglas as an insulation material. In 1936, the DuPont company updated the process using a reinforcement resin that made it possible to combine fiberglass with plastic. This composite fiberglass material was significantly less insulative but far more structurally strong than its predecessor. It became the basis for modern fiberglass. Soon after that, other companies began experimenting with different resins for composite fabrication. By 1942, for example, most companies were using polyester-esque reinforcement resins and peroxide curing resins to make fiberglass. Today, manufacturers routinely fabricate a wide variety of fiberglass composite types with an equally wide range of applications. Their options for reinforcement resin are wider than ever, though they still widely rely on polyester reinforcement resin. Fiberglass materials and products can be made from numerous combinations of fiberglass and resins. The variety of materials available enables manufacturers to fabricate products of various strengths and aesthetics for many applications. There are seven main types of fiberglass resin composite material. These composites include: E-glass, A-glass, E-CR glass, C-glass, D-glass, R-glass and S-glass. E-glass, is the most common fiberglass resin composite. This material is standard glass-reinforce plastic fiberglass. It is composed of alumino-borosilicate glass and less than 1% alkali oxides weight by weight. A-glass is a specialty Alkali-lime glass composite that features a low concentration of boron oxide. C-glass is an alkali-lime glass with a high boron oxide content. This fiber-resin composite is used for insulation and to produce glass staple fibers. D-glass is a borosilicate glass that possesses a low dielectric constant, for which it is named. R-glass is known for its high performance mechanical properties. It is an aluminosilicate glass that features neither magnesium oxide (MgO) nor calcium oxide (CaO). S-glass is another aluminosilicate glass. While it also does not have feature calcium oxide, it does have a high magnesium oxide content. Its composition lends it a high tensile strength. Each of these types of fiberglass can be mixed with thermosetting resins. Resins are used for casting, laminating, and molding, and are made from polyester or epoxy. Polyester resins are widely used because of their high resistance to corrosion and low cost. Of the two resin types, polyester resin is the most common. Epoxy resin is a more high-performance resin material and is thus more expensive. Epoxy resins are used in applications where strength and weight resistance are crucial. Most often, fiberglass manufacturers create products using fiberglass molding. This is especially true when they are making fiberglass-reinforced plastic products. Fiberglass is made when molten glass is extruded through very fine openings in a tool. This extrusion process produces threadlike formations in the glass that are later put through heat treatment or pressing and mixed with plastic resin. During fiberglass design, custom manufacturers consider factors such as: required fiberglass thickness, required fiberglass properties (structural strength, insulation abilities, corrosion resistance, etc. ), fiberglass size, fiberglass color, standard requirements, etc. Using these considerations, they decide on resin and material composites. They can customize all features per your application. Usually, for example, manufacturers make their fiberglass, particularly corrugated fiberglass in a solid color like green, but they can also make transparent custom fiberglass. To find out what a custom fabricator can do for you, discuss your application at length. Primarily, fabricators perform custom fiberglass fabrication using cutting systems and molds. Fiberglass cutting systems are automated or semi-automated machines that cut and trim fiberglass to exact specifications. Some are done completely with robotic and computer controls, while others require human operators to set and adjust the system as the process goes along. Molds are shaped cavities, usually made from steel or stainless steel, into which molten glass is poured during molding. Fiberglass fabrication can be classified into three methods: open molding, closed molding, and centrifugal molding. Open molding is a molding process during which manufacturers apply a gel coating and then cure the structure or mold. They then layer the fiberglass and resin in the mold and then leave them to cure. While open molding works well, out of the three processes, it releases the most emissions. Closed molding is a process during which fabricators begin by applying the gel coating to a two-part mold. Then, they spray or place laminated sheets or chopped fibers into the female part of the mold, on top of the gel coating. Next, they seal the part inside the mold using a vacuum, injected with catalyzed resin, and left to cure. Centrifugal molding is a molding process during which manufacturers apply the gel coating while the cylindrical mold spins, then add the fiber and the resin. They choose this process when fabricating cylindrical products such as tanks or piping systems. In addition, all three processes end in the demolding and final trimming of the product. Demolding involves removing the fiberglass shape from the mold. Manufacturers may do this by hand, compressed air or mechanics. How they choose to perform this step depends on factors like convenience, speed and permissible stress on the product. Trimming is an important final touch. 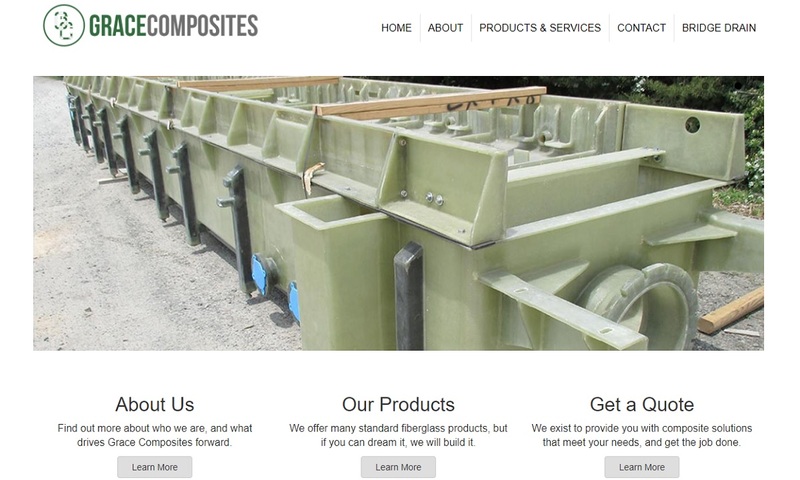 During trimming, fiberglass fabricators make sure that the composite material has the right dimensions and is free from imperfections like ragged edges. Trimming can be done via CAD software and automation or with hand tools and simple cutting tools. Fiberglass material offers many benefits to both its end-users and fabricators. First, it is versatile; because it is resistant to such a wide variety of chemicals, it holds up well in all kinds of environments. Also, fiberglass material is easily customized in terms of color, stiffness, strength and pigmentation. Plus, pultruded fiberglass shapes can be fabricated with common tools, with no welding or torches required. Other advantages of this composite material include its lightness, density, non-conductivity, EMI/RFI resistance, corrosion resistance and deformation resistance. Fiberglass has many advantages over other materials, even aluminum, which is mainly used as an alternative material. Pultruded fiberglass shapes have a much higher resistance to multiple chemicals than its aluminum extruded counterparts. Fiberglass shapes are just as dense as aluminum shapes, but only possess 70% of the weight. Aluminum material is an electric conductor, but pultruded fiberglass has a high dielectric capability and is non-conductive. Additionally, while aluminum material is more thermally conductive, fiberglass serves as a more efficient insulator. Fiberglass can be much more easily pigmented, while the pigmentation process for aluminum requires prefinishing, and anotic paint and coatings. Fiberglass material is used to support and enclose antennae due to its ability to resist EMI/RFI transmissions and radio waves. Aluminum, on the other hand, is highly reflective, and would not be suitable for these applications. Finally, while aluminum is prone to deformation from the load of an impact, pultruded fiberglass is capable of evenly distributing the weight. Fiberglass can be very beneficial to its users. However, it can be hard to pick out. For the best results, you should consult with an experienced fiberglass fabricator who can help you figure out what is best for you. To find a quality manufacturer like that, check out those we have listed on this website. You will find their information, complete with interactive profiles, dispersed evenly throughout this page. Before scrolling around to look at them, we recommend you take the time to put together a list of your specifications, questions and concerns. Do not forget to include logistics-related specifications, such as delivery preferences, delivery deadlines, your budget and preferred customer support levels. Once you have put your specifications list together, go ahead and start studying the manufacturers listed here.  Frequently consult your list in order to compare and contrast a supplier’s service and product listings with your requirements. Pick three or four to whom you would like to speak directly, then reach out to each of them individually. Go over your specifications; do not be afraid to pepper them with questions. The right manufacturer will respect your thoroughness. Jot down notes as you go. After you have spoken with each of them, compare them side by side and determine which company offers not only the best deals, but on-time delivery, the highest quality construction and the best customer service. Once you have figured that out, call them again and get started. Good luck!